I love making sun tea in the summer. It's so easy and every batch is different. 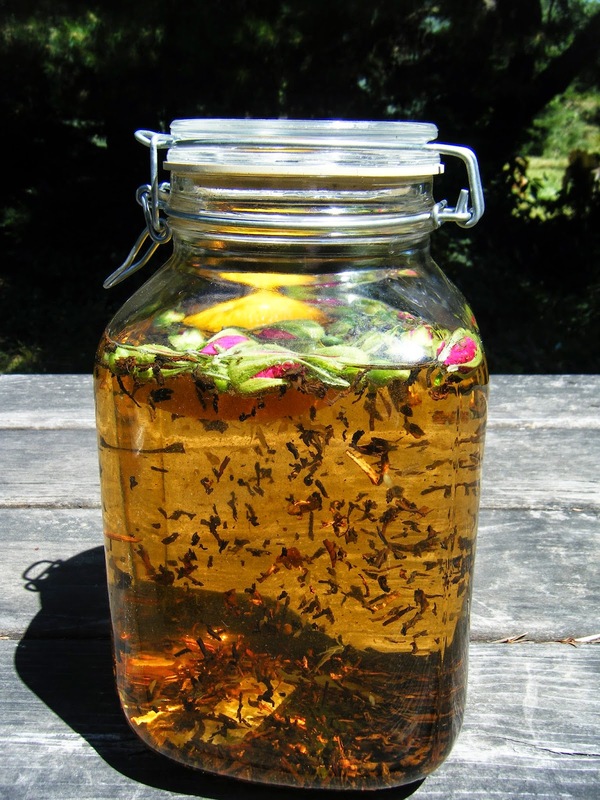 All you need is a big jar, your favorite loose tea, and whatever yumminess you might have in your yard. 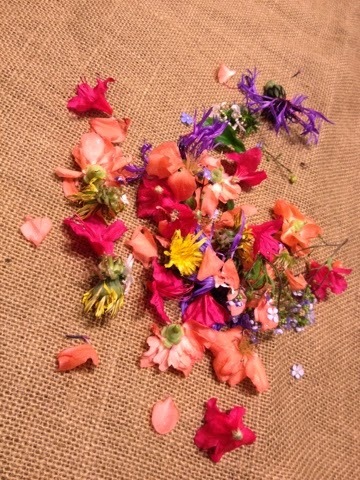 I always like to include a few flowers for a little color punch. 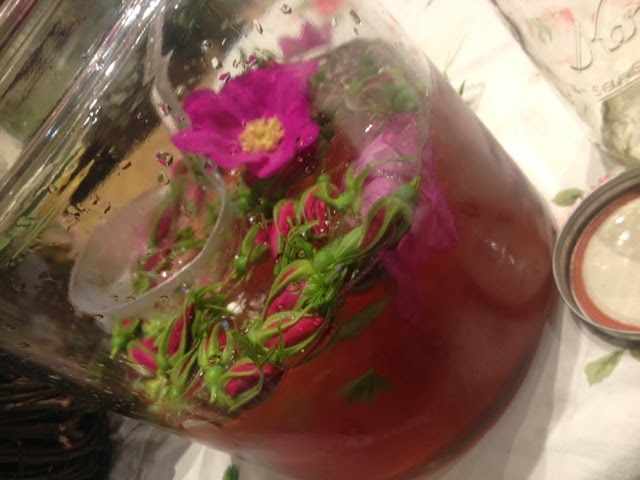 Here I 'm using rose buds, and fir tips, and sweet woodruff. Next batch I'll be adding spearmint and lemon balm. Oh and I forgot the part where you need a sunny day - not always a given in our part of the world, even in the summer. That's about it. 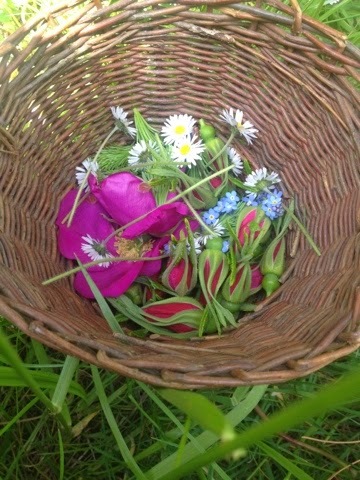 Fill your jar with all manners of plants and flowers and sit it in the sun for a couple to several hours. The flavor will be subtle and wonderful. Depending on your mood and inclination, you can add bubbly water, juice, lemonade, simple syrups, or champagne to your concoction. It always makes for a refreshing summer drink. 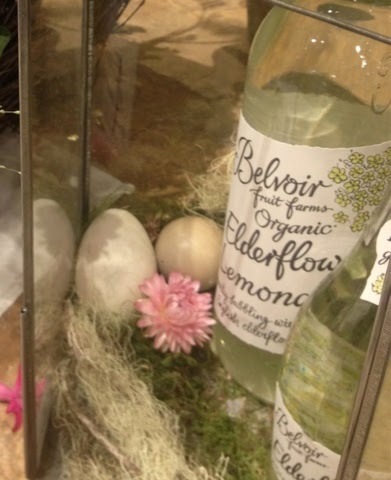 I like adding the elderflower cordial we sell at the store.